As Isaac Newton told us several centuries ago (in his famous Second Law of Thermodynamics), in order to calculate the force of an item in motion, you need to know its mass and acceleration. With these two quantities, simple multiplication will reveal the force. Just be sure to keep your units straight. Find the mass of the object. 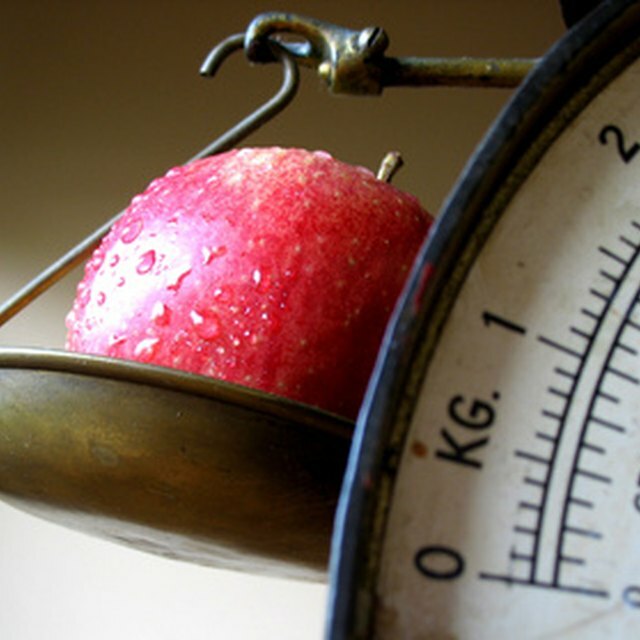 For most basic physics problems, it's most convenient to use units of kilograms. One kilogram is 2.2 pounds. As an example, calculate the force on a 14-pound bowling ball. The mass of a 14-pound bowling ball is 6.4 kilograms. Learn the acceleration of the item. The acceleration of the item will be in meters per second squared, or m/s2. For the bowling ball, before the bowler starts swinging it forward it has a velocity of zero meters per second. One-half second later the bowling ball is travelling forward at 12 meters per second. Because the bowling ball went from zero to 12 meters per second in half a second, the bowler accelerated the ball at a rate of 12 meters per second divided by half a second, which is 24 meters per second squared. Multiply the numbers for mass and acceleration to find the force of the object. Force equals mass times acceleration. For the bowling ball example, the mass is 6.4 kilograms and the acceleration is 24 meters per second squared. The result is 153.6 kilograms-meters per second squared. Rather than using such complicated units, physicists came up with a name for kilograms-meters per second squared: it's the Newton. So the force the bowler exerts on the bowling ball is 153.6 Newtons. Log onto the Force Equations Formulas Calculator page on the AJ Design Software website (see Resources below). Enter a number for the mass of an object. Click on the drop box to the right of the number to change the unit of the mass. Type in a number for the acceleration of that same object. Again, you can change the unit of acceleration by clicking the drop-down menu. Click the “Calculate” tab. After a few seconds, the force of the object will automatically be calculated for you. Scroll below the page to see different answers listed for different units. Smith, Andrew. "How to Calculate Force." Sciencing, https://sciencing.com/calculate-force-4683029.html. 30 April 2018.